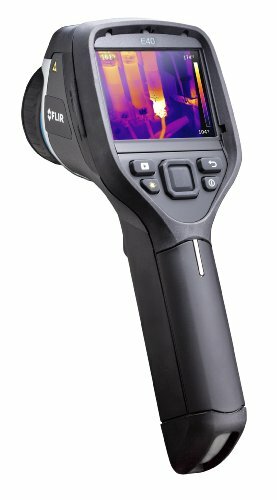 The FLIR E40 Compact Thermal Imaging Camera is designed to provide you with a safe and non-invasive means of efficiently locating and diagnosing potential electrical, industrial and mechanical problems. It provides layered infrared (IR) and digital images to open a window into the unseen, unknown and sometimes unexpected, without the risk of shutdowns, teardowns or any other type of disturbances further obstructing the process. 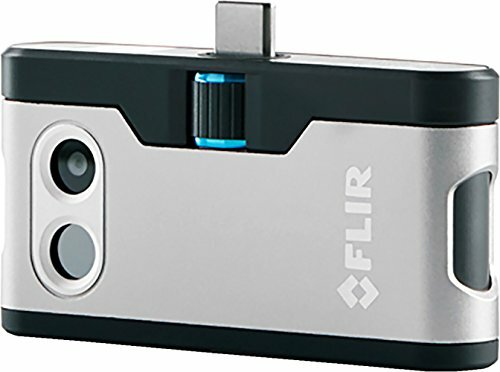 The device utilises FLIR’s unique and patented MSX (Multi-Spectral Dynamic Imaging) technology to extract essential visual information from its built-in digital camera and then overlays it above the 160 x 120 pixel thermal image to generate a high-resolution radiometric image in real time. MSX is a new hi-tech feature which produces better texture in a thermal image than had hitherto been available, enabling more anomalies to be identified and analyses to be performed much more rapidly and with greater accuracy than ever before. The E40 uses Bluetooth technology to effortlessly link the camera to your own mobile device, thereby enabling infrared images to be seen remotely. Images can then be transmitted as e-mail reports to inform any necessary repair decisions that need to be taken. Electrical and environmental readings may be embedded into infrared images to provide findings with additional support. The FLIR E40 is a Class II laser product with a 1mW output. Its 19,200 pixel infrared resolution exceeds Residential Energy Standards Network (RESNET) standards and its measurement modes include isotherm, 3 spots, 3 area box and auto hot/cold spots. Connectivity is provided to FLIR’s new test and measurement meters via a METERLiNK operating system. Picture-in-picture superimposes a specific section of a thermal image onto a digital photograph to help locate problem areas. The system uses auto orientation to keep upright infrared images taken by the camera whether its orientation is horizontal or vertical. Optional interchangeable 15 degree and 45 degree lenses are available separately. It has a 60Hz frame rate and includes isotherm, auto hot/cold spot and Delta-T measurement modes. It also comes with a kit which includes an impressive portfolio of accessories – a USB cable, power adaptor, SD memory card complete with adaptor, li-ion battery, a two-bay charging station, compatible FLIR software for both the Mac operating system and PC, as well as a hard protective case. FLIR’s exclusive MSX technology adds important data from the visible light camera to the IR image in real time, allowing it to decipher fine detail. A dedicated wi-fi app enables connection to any smartphone, laptop or tablet in order to stream video or JPEGs to colleagues or customers, create reports, incorporate text or voice files, and more. Its handy 3.5-inch touch screen allows for rapid access to data overlays such as diagnostic and measurement tools, whilst its 3.1MP resolution digital camera captures clear images and the LED lamp incorporated into the product acts as a flashlight to facilitate more effective navigation. 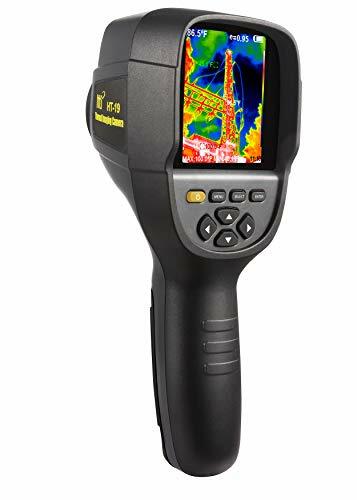 The FLIR E40 boasts a thermal sensitivity of less than 0.07 degrees Celsius and a thermal range of between -20 and 650 degrees Celsius (-4 to 1202 degrees Fahrenheit), bringing even the most subtle temperature patterns and detail into view. Customer reviews are unanimously positive, with only the most minor and inconsequential of caveats included alongside consistent praise, words of recommendation and endorsement. Reviewers find the product easy to use despite its sophistication and the effectiveness with which it identifies electrical, mechanical and industrial problems. The FLIR E40 seems even to compare favourably against more expensive models. It is noted that the resolution provided exceeds both expectations and requirements within what is acknowledged to be a very high-performance yet cost-effective appliance. The rationale of the FLIR E40 is that it enables the identification of plumbing problems which are often invisible to the naked eye. Its ability to locate with precision the source of clogged pipework, leaks, condensation, missing insulation and other common issues allows swift remedial action to be taken without the need for unnecessary drilling, probing and time-consuming and often expensive investigation. 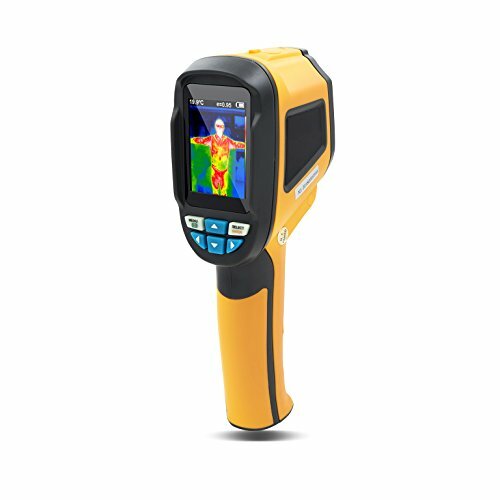 Its 160 x 120 pixel IR resolution more than satisfies the industry RESNET standard and its practical 3.5-inch colour LCD touchscreen display, complete with auto-orientation, allows for easy and convenient access to data overlays. 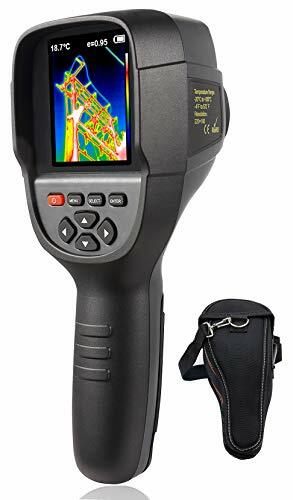 It also incorporates a wide-angle lens for manual focus, a built-in digital camera with laser pointer and LED lamp and 2x digital infrared zoom, delivering an ability to capture precision images of the highest quality and detail. Incorporating the METERLiNK system means the camera can communicate with FLIR’s new test tools, streaming readings directly to the device which provide critical measurements to existing thermal images. The E40’s use of Bluetooth connectivity conveniently enables remote viewing and diagnostics in real time. On top of this exclusive MSX technology integrates key detail from the photographs taken by the digital camera resulting in clearer and sharper thermal imagery. 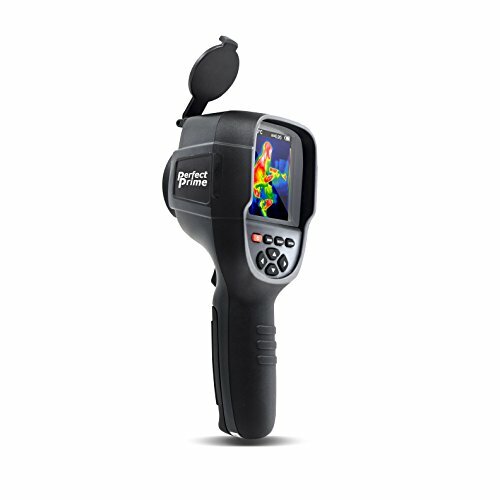 Software bundled into the package enables the simple importation and analysis of incorporated images into reports, whilst the ability to capture fully radiometric thermal JPEGs enables the convenient viewing of temperature data within the images. A comprehensive package of useful accessories including SD memory card and an imaginative 10-5-2- product warranty (10 years on the infrared detector, 5 years on batteries and 2 years on parts and labour) nicely rounds off what is a very complete and attractive purchase at a competitive price. The FLIR E40 comes in a strong, robust protective case for safe carriage and storage.